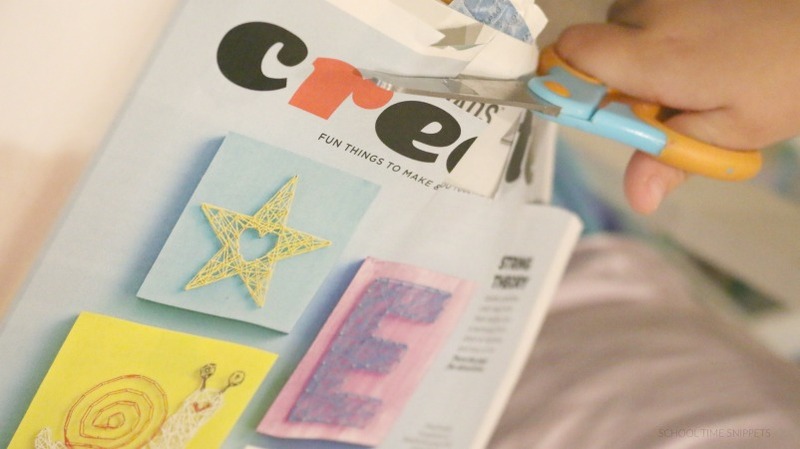 Save those left-over magazines that you only had time to skim through! Who has time to read with several littles under-tow anyhow?! I try. But I've definitely become a magazine "skimmer." 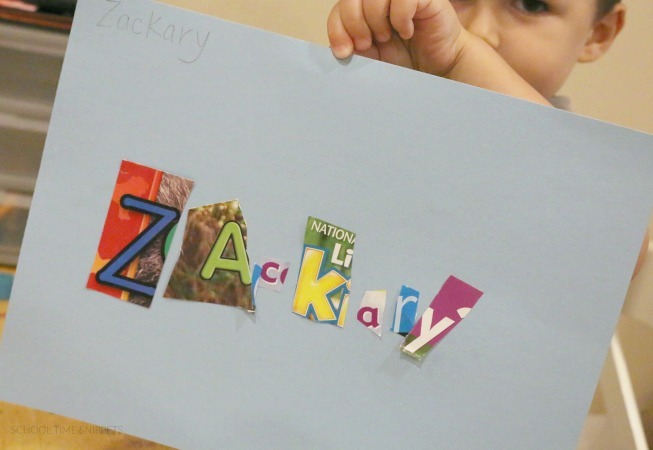 However, I pulled out my stash the other day and had my 5 and 3 year old make a simple and fun Name Collage using magazine letter clippings. 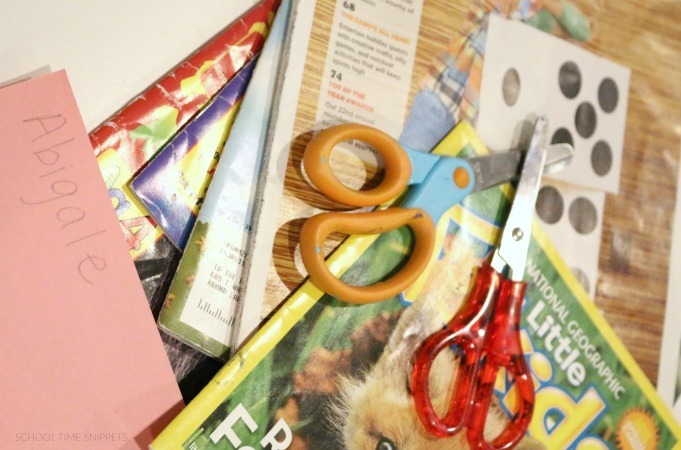 Love simple activities that work on Kindergarten readiness skills such as name recognition, gluing, and scissor skills. I laid all the materials on our school room table and provided Little Sis and Little Brother each with a sheet of construction paper with their name on it. We looked through the magazines searching for the letters in their names. 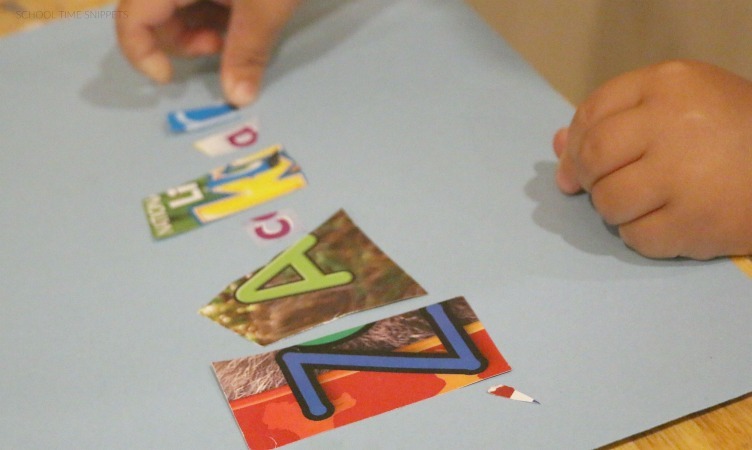 Once they found a letter, I had them cut it out and glue it onto the construction paper. 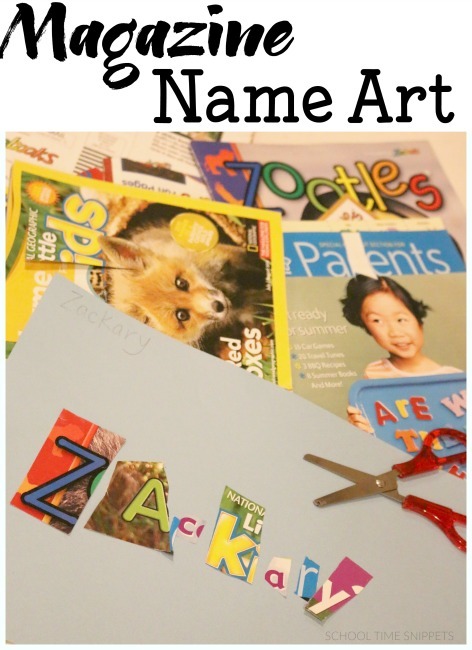 This was a great activity to get my 3 year old using scissors and I loved how each Name Collage looked different. They each had a mix of large, small, skinny, and colorful letters. I did help my 3 year old quite a bit, but here is his final product! Definitely a great project to do with your preschool/ kindergarten aged kiddos; it's simple, fun, and works on so many early learning skills!